I bragged about the wonderful new quilt documentation program that I bought awhile back. 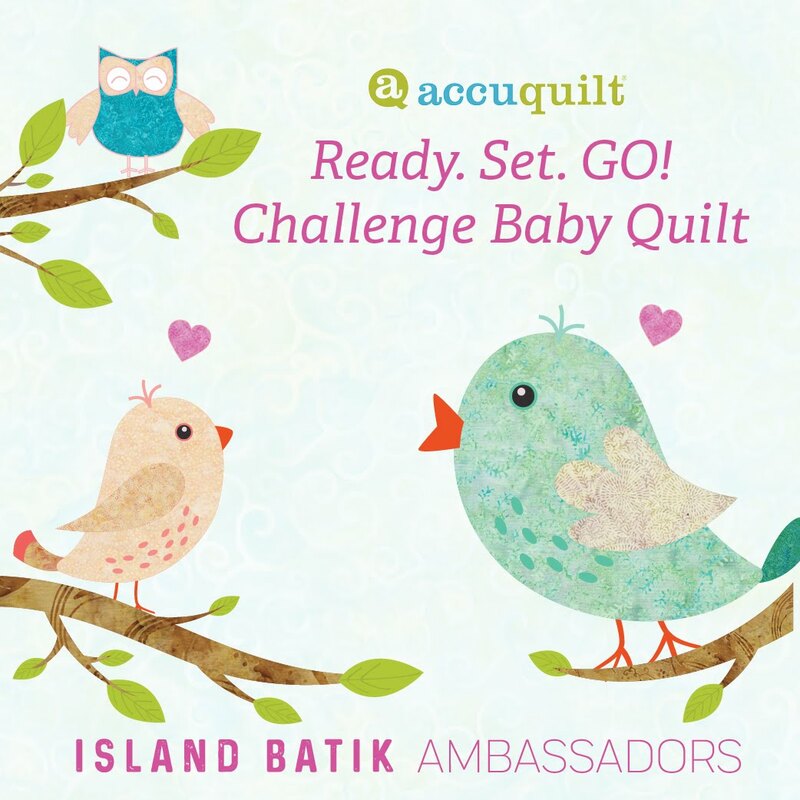 I am so thrilled with it, that I have decided to become a Quilt Album Ambassador. 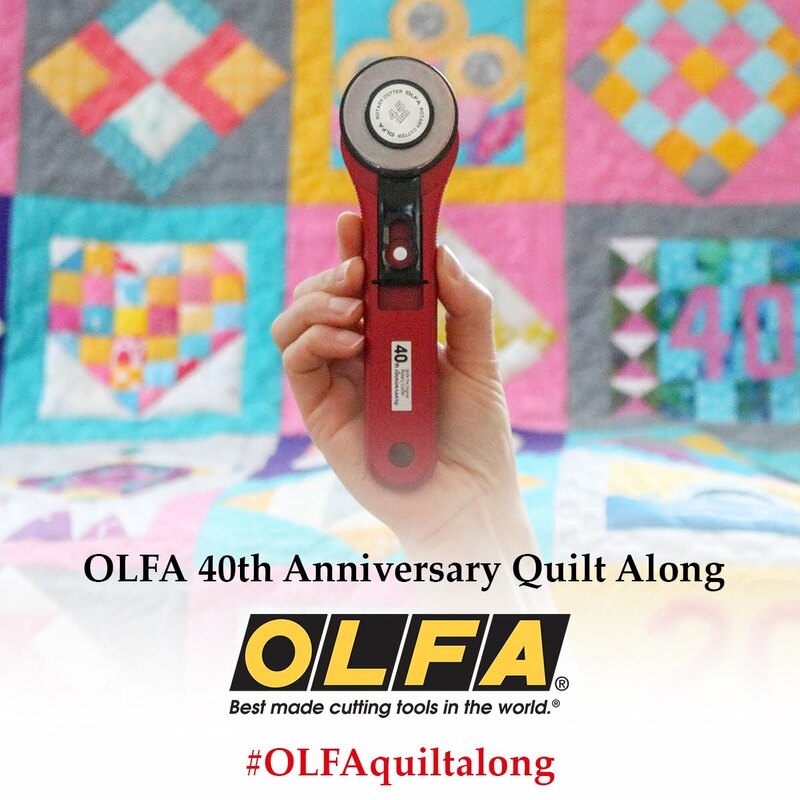 I have logged over 150 quilts into this great program already. 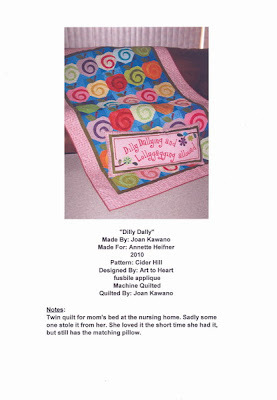 It allows me to keep a record of my quilts and save a little history on them too. 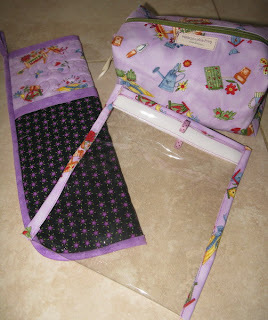 It's a great way to keep track of my swap quilts too. Those special treasures, a complete stranger pours their love into and mails away. I never want to forget where they have come from. 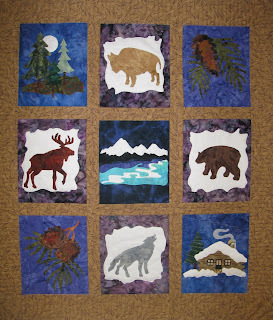 I sure so wish I had taken time to photograph all my quilts, but it's a live and learn world for us all. 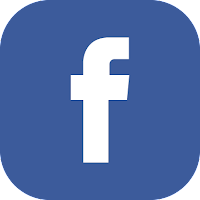 Starting with this great program here, will help you to never loose track of one of your creations again, and what better way to share our legacy's with future generations. Once you have your quilts logged in, you can print out the pages if you like, on full or half sheets, printing as much or little of the documentation as you choose. Not only a finish of a PIG (project in grocery sack), but timely too. With the 4th of July coming up real soon, there was no better time to get this done than now! 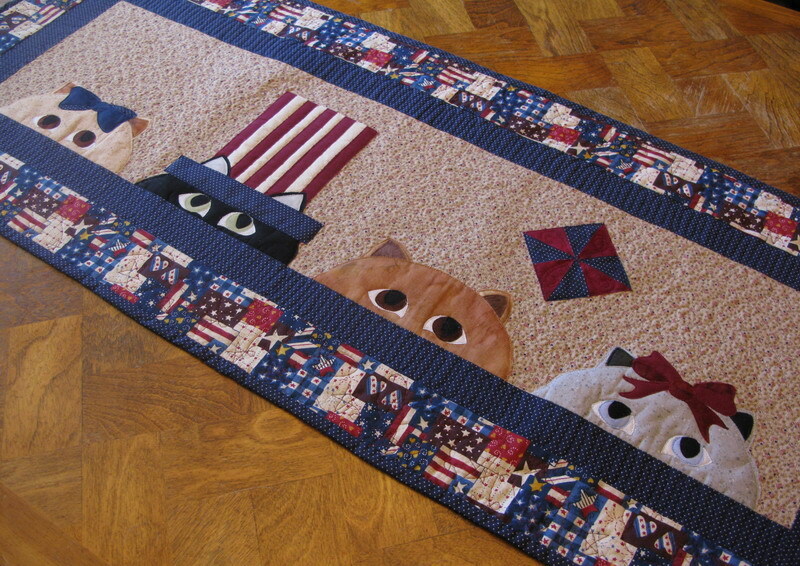 This is one, from my favorite Peeping Cats patterns at Angie Padilla's, that I adapted to make a patriotic theme. 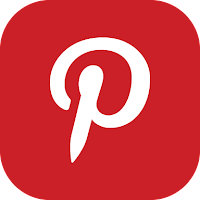 If you have followed my blog, you have surely seen them done in many of different styles and seasons. That's the beauty of this great pattern. Another one of the great things I have to share, is my new light. 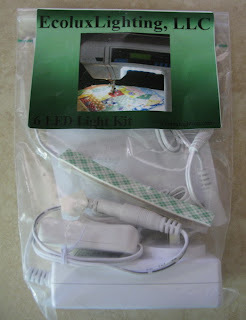 I recently was introduced to Ecolux LED Lighting for my sewing machine. What can I say, but WOW! This is the greatest thing I have ever bought. It makes the lighting on my Bernina spectacular. Go check this out over at the Cotton Club. You will be happy you did. I just got home from a wonderful wedding weekend, to find a great surprise in my mailbox. Like the weekend wasn't fabulous enough, Gudrun sent me a box of wonderful surprises. She had a blog hop last month, over at her blog Gudruns World and I was one of the winners of her new book Table Talk. 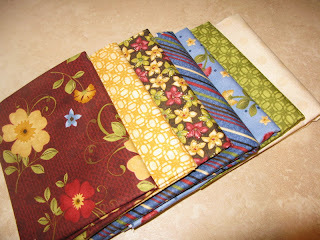 I had no idea I was going to get some great fabrics and extra patterns too. WOW-wow, am I one lucky girl. Thank you so much Gudrun, I am going to have a marvelous time playing with all these goodies. PS: Another trip thru airport security and no problem with my TSA bag. It seems to keep them happy, which made me happy too! 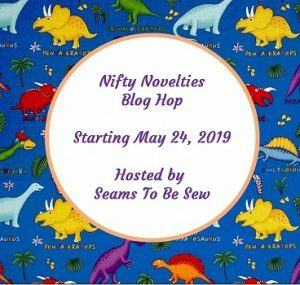 If you haven't surfed thru the Connecting Threads website lately, you will find some fabulous patterns you can pay and download immediately. This is one of my favorites. A Little Duffle Do It. For $4, you too, can have your own pattern for these cuties. I love taking a little something when I travel for the people who have to tolerate me, and this is perfect and fast. 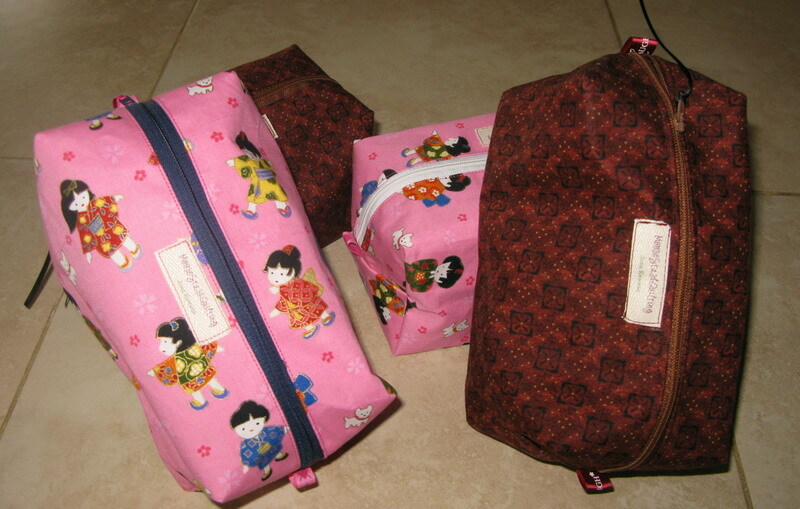 Everyone needs something to carry things in, it's just right for makeup bags or any kind of sewing supplies me might need to carry. A couple of fat quarters and a zipper and your on your way. 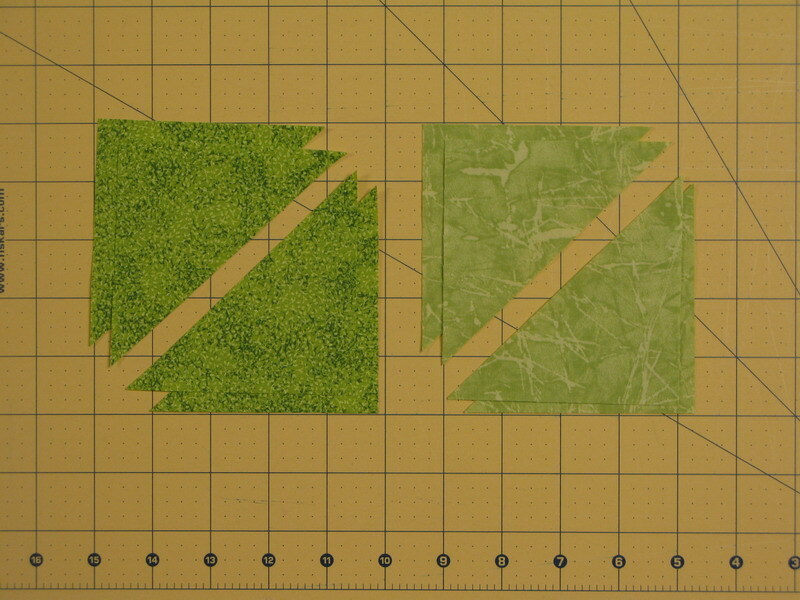 These are the large size, and there are 3 sizes offered in the same pattern. Click HERE for the magic carpet ride over to this great pattern. 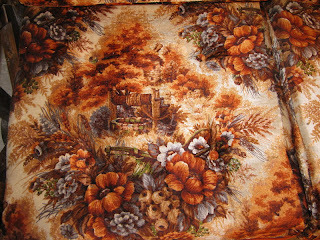 You might want to check out all the other wonderful patterns while your there, too! Since I am leaving on a jet plane this week, to help my best friend (46 years, yikes!!) with a wedding in her family, I decided to make myself a little duffle and a matching curling iron carrier. My old one, had long since seen better days. 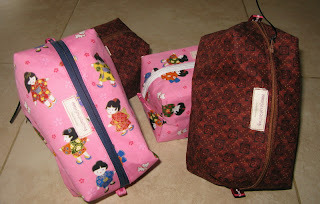 In the middle of the night the idea fairy struck (darn her for interrupting my sleep) and her focus seemed to be dealing with the 1 quart ziploc bags that you are required to have for your liquids when you travel now. 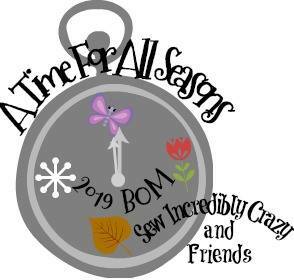 Of course, I had to get up out of bed and hit my sewing room early today. I took a ziploc and used the measurements to make one out of a heavier clear plastic. On my last trip to Anchorage, as I was pulling my liquids out of my bag, the top portion tore off the bag, and there I stood with the zipper part of the bag in my hand. Thanks goodness the TSA agents thought it was funny and allowed me to take things on, since they do not have bags available for us anymore. So if this works out well with the TSA, and it should, since it "is" the exact measurement of a 1 quart bag, I will post a tutorial for making your own. After my marathon week working on the upholstery last week, I took some time away from my sewing room. 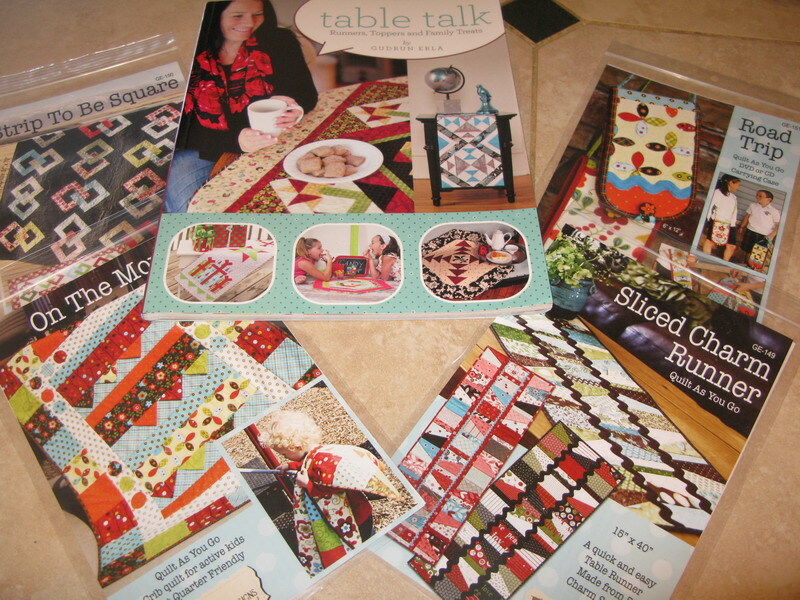 This week instead, I have been collecting up my photos and putting information into my new quilting program. 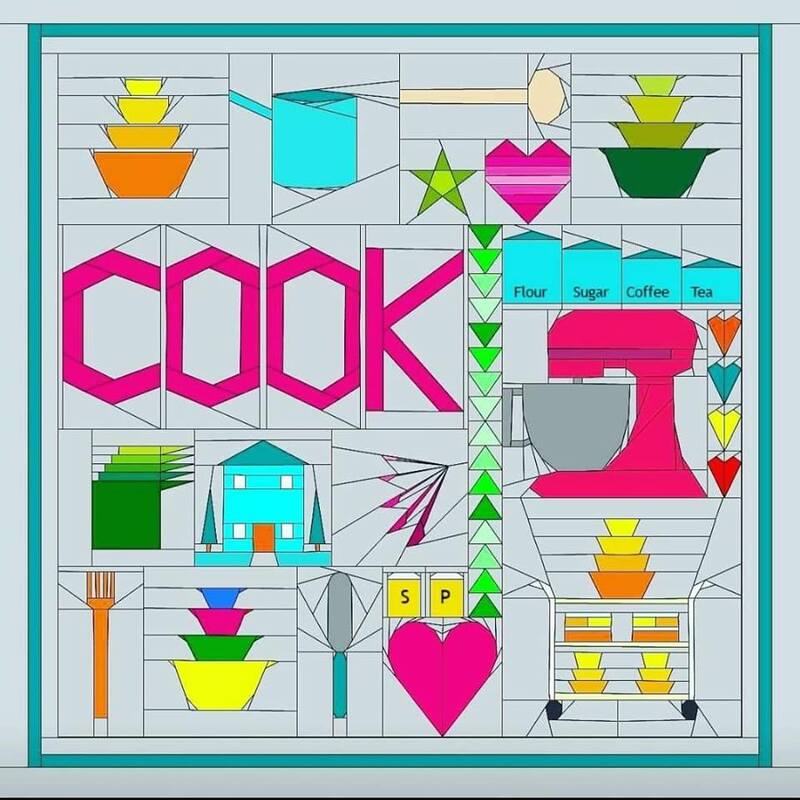 For those who have not seen this program, I have to tell you, it's about as great as they come. Besides being very easy to use, I now have a place to track all my quilts and tell a bit of their stories. In the process, I found that I had lost some photos when my computer crashed a year ago. Thankfully I found some of them on backup disks. 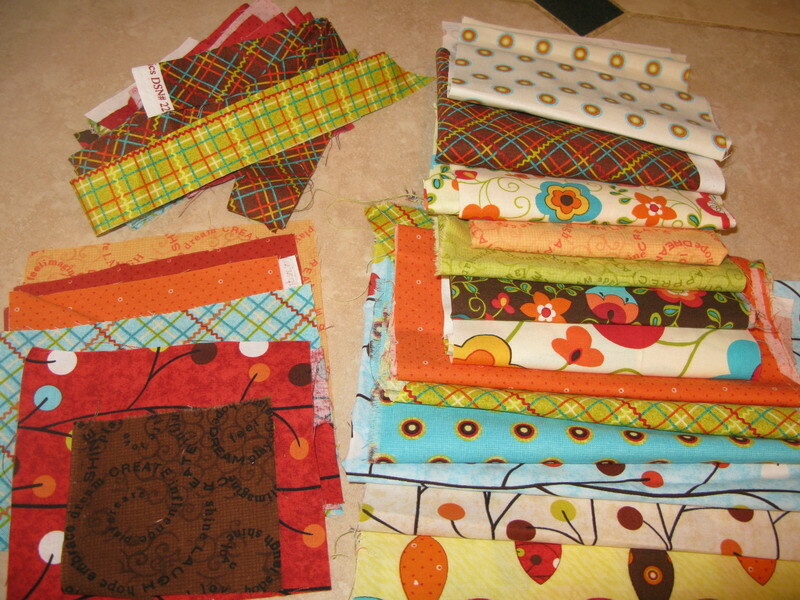 I was able to piece together many of the swap quilts and tell a bit about each one who sent them to me, too. Besides the ability to collect all the info, you can print out pages, note cards, business cards and even return address labels. Now is that fun or what?? :-) It's a virtual library, and I love it. 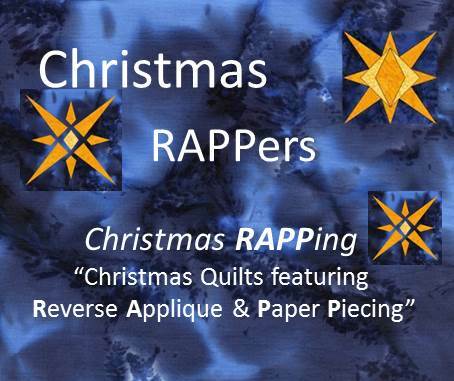 For $29.95 you can download a copy for yourself over at QuiltAlbum.com Do yourself a favor and get your copy today. The information you save will be "your" heritage some day! Don't let it get away. Pretty cool huh, and best yet, I have all that info stored in my Quilt Album program. Now you knew I was going to throw that in didn't you? Remember that tease last week? The one with the Bear Paw block? Well that project is finished, and I am oh so glad. Karen commented and then emailed me a couple of times with her guess. It started as a trivet cover, but I kept telling her to think bigger. The last guess was a surfboard cover!!! Well, it was about the right size but we live in Colorado, and it's so far from any kind of water you could surf on, that I don't own a surfboard! Great guess though Karen, I sure got a big laugh out of it!! Here it is.... my secret project! 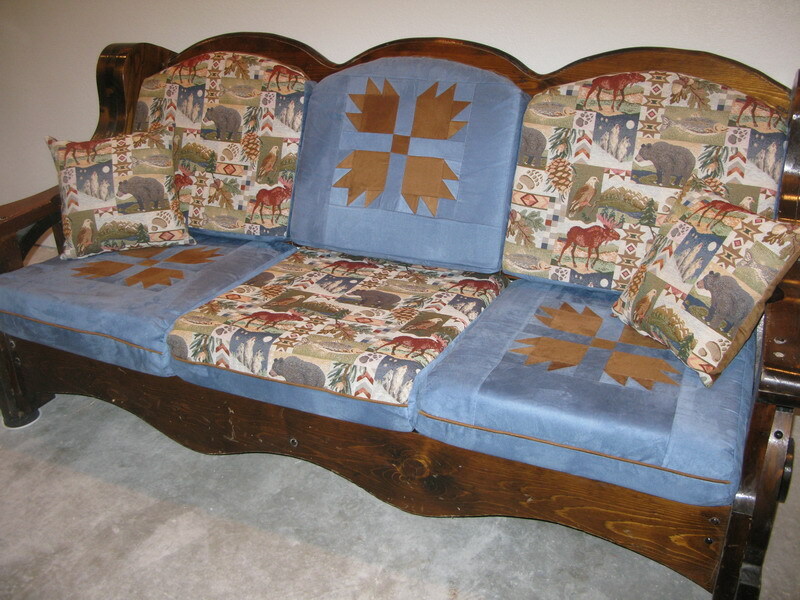 I have no idea just what I was thinking, when I decided that I was going to recover furniture, especially when it comes to piecing quilt blocks for furniture. Not to mention that there are 2 couches and 2 chairs along with a coffee table thing, that has 2 cushions on it also. Yes count them, 18 cushions in all...YIKES!! The next time I come up with one of these goofy ideas, I hope somebody knocks me into tomorrow! This idea has actually been on the drawing board for about 5 years now. I bought the fabrics that long ago, and lost interest in actually doing the project shortly afterwards. Is this were I confess that I had to tear up the place to figure out where I had even stashed the tapestry fabric??? Now that my basement remodel is about complete, there seemed like no better time than now, to dig in and just get it done. 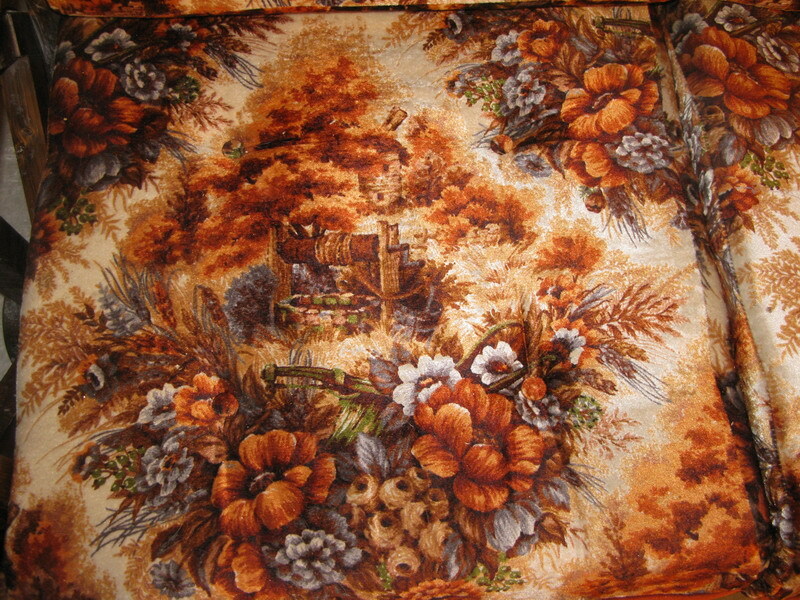 This is what the old cushions looked like. YUCK! I have always hated em, but my hubby thought they were just wonderful. Well, maybe 30 years ago when we bought this stuff, it might have been ok, but after that long I am so sick of the color, that I could hardly stand to look at em anymore. Sorry hubby! Now that's enough to make anyone say a few choice things! Don't think I didn't consider leaving it and pretending it didn't happen, but my conscience got the best of me and I fixed it. I knew it would irritate me every day if I didn't. Let's see, then we dealt with the zipper pull, that came off a zipper as I was sewing things together, there were not stops at either end of the darn things. A search online yielded a great tip for that issue. You can click HERE for that help, should you ever need it. It worked like a charm. One of the best things I did, was to fuse Decor-Bond to the back of each piece. 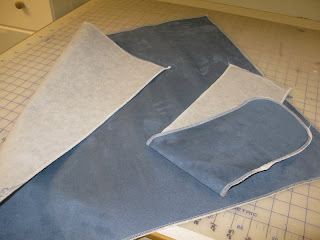 It stabilized things so they didn't stretch and shift as I sewed them together. It also made it very easy to slide the new covers over the foam cushions, which was worth the price of admission in itself! Note: I pieced the bear paw block and put the entire panel together before I fused the Decor Bond to it. I was afraid that there would be too much bulk otherwise. Then, just 1 cushion away from wrapping up this entire adventure, I managed to rotary cut my finger trimming a piece of cording!!!!!!! I am very lucky thank goodness that it isn't too bad. I have seem much worse, but it sure was another one of them ARRRGH moments again. So, there you have it. Next week, after my carpet gets installed and my room gets put back together, you will find me relaxing with a big ole Strawberry (cause their in season) Margarita on my new couch. With my luck I better Scotchguard everything now, before spill on the darn new thing! June is a busy month. Kids getting out of school, planning summer vacations, yard work, gardening, etc,etc,etc. We need a fast project for this month with everything we have to do. It doesn't get my faster than this one. 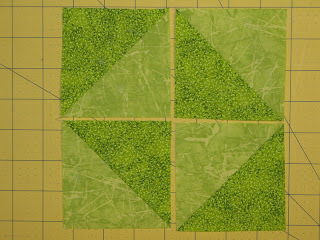 You only need a couple of fabrics, and 2, 3-7/8" squares of each to complete this block. Cut them each on the diagonal and piece them back together. Easy as that. 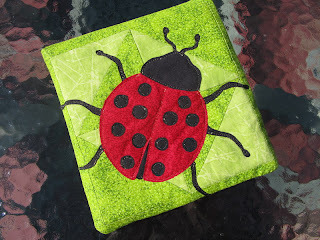 With our yards greening up, I choose green for my background color and added a this adorable lady bug, who's pattern can be found, free online at Squidoo.com. 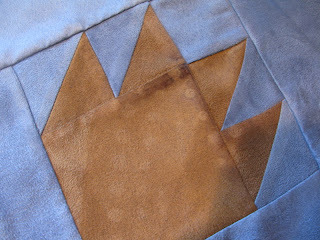 They have loads of designs that can easily be adapted to applique. Be sure to check them out. http://parenting.leehansen.com/downloads/coloring/flowers/ladybug.htm will take you right to the lady bug I used. This would make a great hostess gift for a summer BBQ. Imagine it combined with a kitchen towel with the little bug on it too. And some place mats, what a great outdoor set up. What do you think? Got a few minutes to play???? 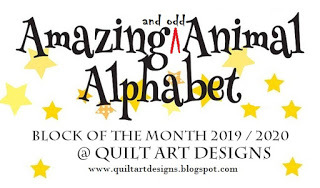 Something this fast and easy will allow you all the time you need for other projects this month. Be sure you post your completed trivets on our Flickr page. There is a link for it on the right side bar of my blog. 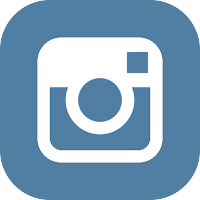 Looking forward to seeing your projects!